Top 20 best reasons to check out the State Fair of Tennessee in 2014! 20 reasons to check out the State Fair of Tennessee in 2014! 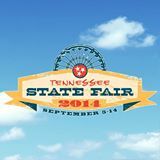 State Fair of Tennessee 2014 – The State Fair of Tennessee is going to be something special! Now celebrating 90 Years of Blue Ribbon Traditions – See you at the Fair September 5 – 14, 2014 Find them on Twitter @TNStateFair #StateFair. The dates of the State Fair of Tennessee is typically held in early September and is one of the best state fairs in the nation! This year the state fair will be held September 5 – 14, 2014. The post Tennessee State Fair 2013 festival concert line up appeared first on Festivals4fun. Here’s the official address for the TN State Fair for 2014. Great rides, fun for all, family entertainment , and beautiful girls like always! Check out the multi day events of award-winning fair fun. Featuring special ticketed performances by big-name musical acts. If you’re thinking of staying in Nashville, TN then here’s some information you’d want to know about the Tennessee State Fair. History of the state Fair – When you visit the TN State Fair you can expect to find a whole world of livestock animals, horse shows, competitive exhibits, entertainment, ag education, concerts and carnival rides galore!! We’re thrilled to offer you a wide variety of attractions and are sure that there is something for everyone in your family to enjoy. Here are some of the hit performances and bands that showed up for the TN State Fair.